I got the idea to make a post about my embarrassing and wrong convictions about the Pokèmon, that I used to have when I was a rookie player. (The first times I played). This happened with not one, not two, but three characters in Pokèmon Crystal. The unlucky ones being: Silver, Bugsy and Falkner. Looking at the GSC sprites of these three characters, you should admit that I had a little bit of reason. While for Silver and Falkner my idea changed almost immediately (Silver when at pokèmon's lab the policeman says he's looking for a boy with red-hair; and Falkner thanks to his name), my conviction that Bugsy was a man, stayed longer. Mostly because I didn't have internet at that time, so I couldn't check. Come on, the name Bugsy sonds pretty girly, no? Anyway, after my famous "Temporary break-up" with Pokèmon, my brother started playing Gold, but the Italian version, in which his name is purely the one of a boy. "Have you defeated the gym leader? Her Scyther could be a pain"
"Her? But he's a boy. Why should somebody name a girl Raffaello?" It was a little surprising, when Gold exchanges Bugsy for a girl the first, and wants to ask him out. Pure revenge, I wasn't completely wrong. This section is dedicated to all the Pokèmon I believed to be a certain type, that revealed themselves to be a completely different thing. The first of the list is Gyarados, the dual type Flying-Water. Despite I owned one, I believed it was a dual type Water-Dragon (Like Kingdra, to be clear). Again, it was my brother who put some sense back in me. "Are you dumb? Just check the info of your own Pokèmon!" 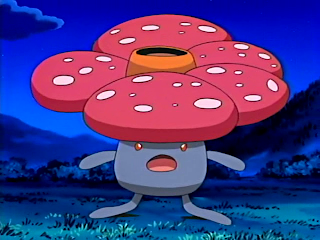 Another victim of this terrible damaged mind of mine, was Vileplume. As everyone (also my dog) knows, this Pokèmon is a dual type Grass-Poison. Think about, above all the other possible options, what I believed it to be? 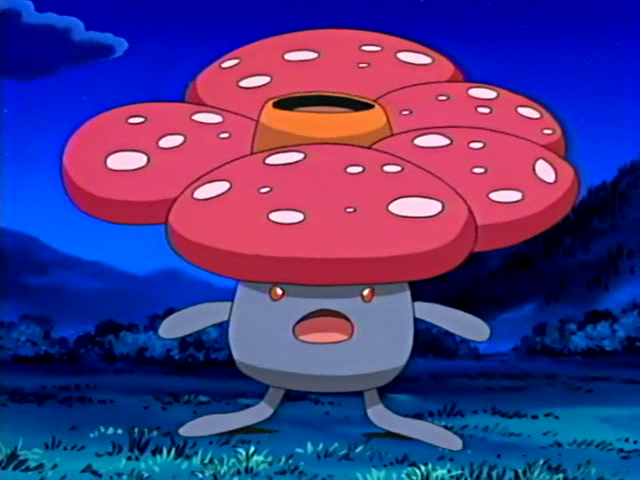 Maybe the fact that Karen uses a Vileplume, validated the thesis in my mind. Of course I didn't think that, if Karen would have had only Dark-type pokèmon in her team, she would just have owned: Houndoom, Umbreon and Murkrow. Along with this line, I was convinced that the type Light existed, because, why not? If there is a Dark type, there must be also a Light one. For me Espeon, Sunflora and Bellossom belong to this type. The last, but not for importance, victim of these sequence of misunderstandings is, the poor Bugsy, again. Not only I thought he was a girl, but I was sure he was a Grass Gym Leader (Despite he uses just Bug-types). This one is pretty recent, it is about Pokèmon White II. 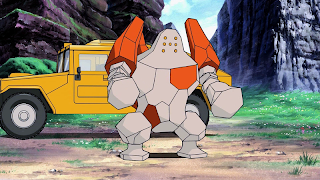 You know, to enter Regirock's room, there's the need to make a certain number of steps in determined directions; once you get them right, you need to press "A" and the door will open. Yep, I missed this action at the very end, though the door wouldn't open. It didn't sound so bad, until now. 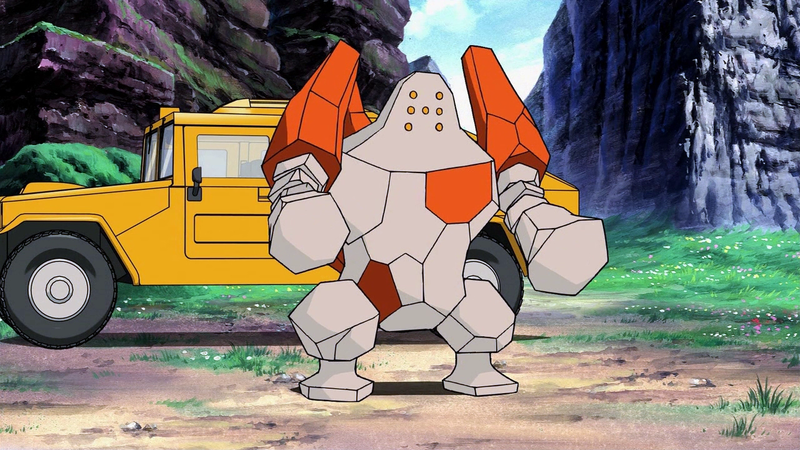 Confused on why the door didn't work, I spoke with the guy that is outside Regirock's room, he told me something about the door opening just when there is full moon. You know what I did? I waited until in the real world there was the full moon and tried to open the door! Of course it didn't work, at the very end, I looked for some gameplays, but in those videos, the action of pushing the "A" button wasn't evident; basically you see those characters making your same movements, but at the end, they got the door open. "The moment when you realize you are a complete idiot because you didn't push the "A" button"
That was it. I discovered the bitter, inner truth about myself. I bred Snorlax and Wobbuffet with Ditto hoping to get Munchlax and Wynaut. Normally this shouldn't sound strange, unless you're trying to do this in a II Generation game, when both of these Pokèmon's first appearance is in Generation III. This is pretty funny. I quit watching the Pokèmon anime in the very first series, thous I didn't know all the monsters present in Generation II; so, when for the first time Yanma and Misdreavus appeared, I caught them thinking they were legendaries. I was firmly convinced that Espeon and Umbreon evolved from Eevee with the help of Sun and Moon stones. 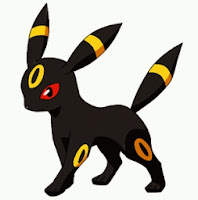 When this didn't work, I started to believe that, to obtain Espeon I should have brought Eevee to the haircut brothers at day, and for Umbreon I should have done the same at night. When even this disn't work, I thought that it could evolve in Umbreon if traded during the night, and Espeon if traded during the daytime. Same speech for Togepi. At first, I was sure it could evolve by using either a Moon or a Sun stone, and when the two didn't work, I believed it could just be evolved by trading. The concept of friendship didn't get into my mind at that time. This should need its own post. I kept this topic for last because it's the most amazing to me. This section is dedicated to all the myths in the pokèmon games, stories told to us by friends who were firmly sure that using some kind of peculiar moves, fantastic events would have taken place. Some of them became extremely popular, but actually, I think everyone has a fair bunch of his own. "According to the experts, after you won all the battles at the battle tower at level 100, you would have access to a secret garden in which you could find every Pokèmon you missed. Some sources says that they found also Pokèmon like Latias and Latios in there." "If you walk randomly at the entrance of the cave, Mewtwo will appear." "To get Lugia, you have to defeat Red at Mt.Silver, making your starter Pokèmon hold the Silver Wing. " "If you defeat the league 100 times, Lance will bring you to Mew's and Mewtwo's den. Be careful, you will have to stop the fight between those two to catch them. " To catch the legendary birds Articuno, Zapdos and Moltres, you need to catch the same Unown representing the writes on the wall at the Ruins of Alph. 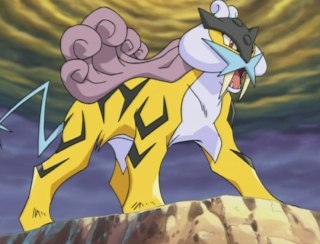 "If you want to easily find Raikou, go on Route 29 where there are a lot of Pidgey. You know why? Because Raikou loves eating these Pokèmon! Think that one time I met it, and there was a Pidgey under its paw!" I guess that's all people. 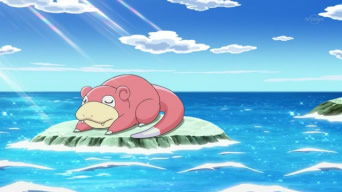 Just to know, do you have some embarrassing stories about Pokèmon to tell me? Please, let me know I'm not the only one!